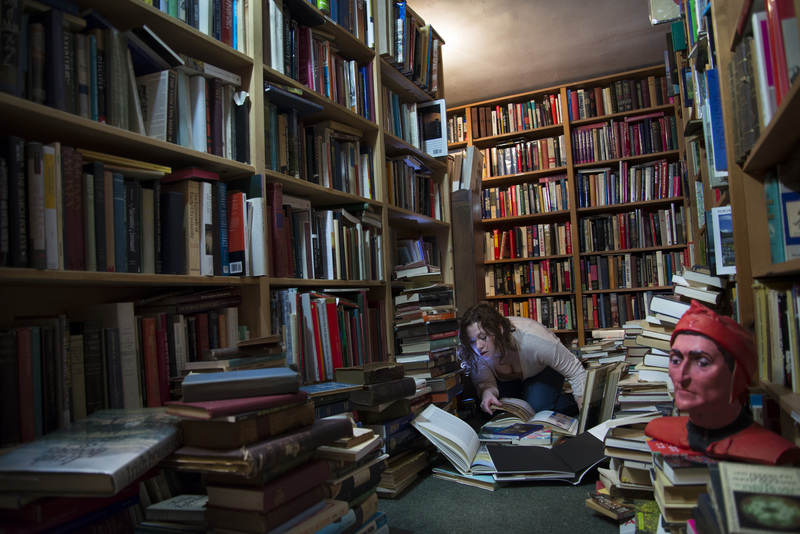 A few months ago I did a photoshoot at one of my favorite book store's of all time, Lyrical Ballads. I stumbled into the store four or five years ago and fell in love - they have a huge variety of books and a seemingly never ending supply of them. 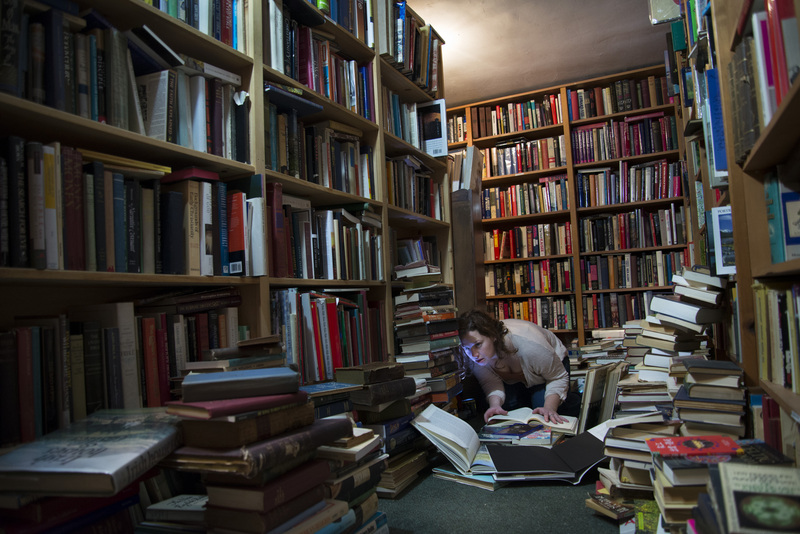 As you walk through the store you realize that behind one tower of books, there is another room, with more antiques and treasures to be discovered. I had been eyeing the store as a photoshoot location for years, so I finally got up my courage to ask if I might be able to do a photoshoot for my project. I chose Lyrical Ballads because I wanted to create a scene in which I addressed the experience of researching in order to discover information that is not necessarily beneficial or helpful, but a need to know the facts nonetheless. I wanted a place that would show the subject sounded by information and about to stumble across the truth they have been searching for, yet unprepared to face that truth. A moment between the thrill of finding answers and fear of confirming doubts. The following are the two images I liked best. The second is the one I think I will go with for the series. Let me know what you think! p.s. I showed these images to a photographer friend of mine and they said that Lyrical Ballads used to be an old haunt of Susan Sontag's - so that's just cool.